Business before pleasure? What not have both at the same time? 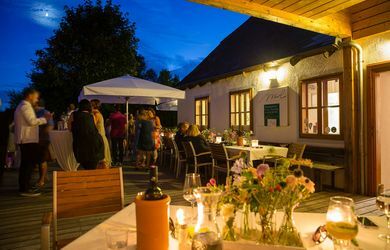 Lower Austria has more than just perfect venues for staging your conferences, meetings, special events and incentives in an exclusive atmosphere. It offers a culture of enjoyment and enjoyable culture plus a singular zest for life and warm Austrian hospitality. 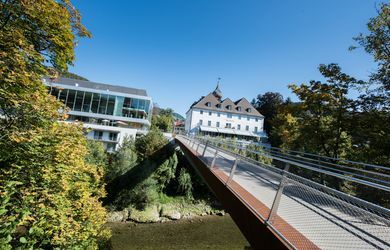 Convention Bureau Lower Austria not only helps you to vet venues and hotels but is the first place to contact for a conference subsidy (up to EUR 3.000,-). The Freigut Thallern as a conference hotel has 2 meeting rooms on a total of 200m², for 80 people in the largest room. 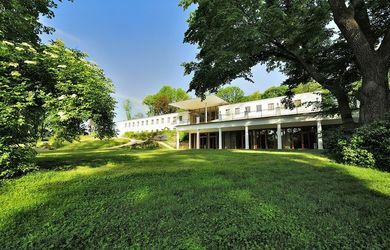 The conference hotel has 19 rooms and is located in Gumpoldskirchen near Vienna. The City-Galery Mödling, as a Eventlocationl, offers 4 conference rooms, altogether 500qm, for 170 people in the largest room. 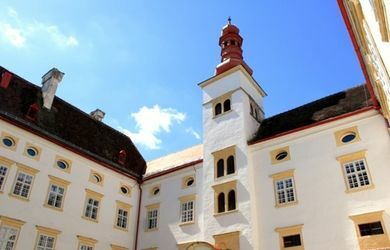 The Eventlocation is situated in Mödling, in Lower Austria. 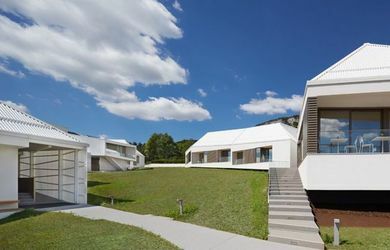 The Seminar- and Eventhotel Krainerhütte as a conference venue has 11 function rooms on altogether 746m ², for 227 people in the largest room. 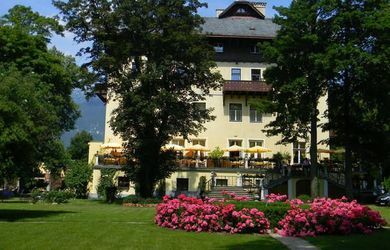 The conference hotel has 70 rooms and is located in Helenental/Baden. 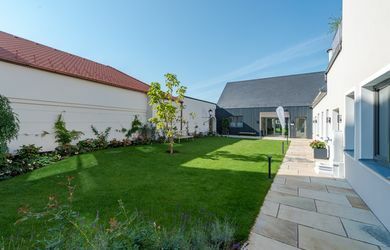 The event venue Benediktinerstift Goettweig offers 6 function rooms totaling 2,000sqm / 450 people in the largest room as well as outddoorspace close to 9,000sqm for about 4,500 people.The event venue is located in Goettweig in Lower Austria. The Schüttkasten Geras, as a conference hotel, has 10 conference rooms, altogether 1114m ², for 200 people in the largest room. 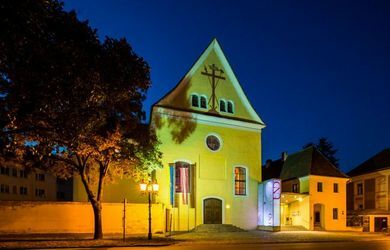 The conference venue has 70 rooms and is situated in Geras in Waldviertel - Lower Austria. 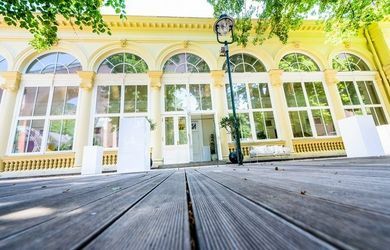 The event venue Conference Center Laxenburg (Lower Austria) has 8 function rooms on a total of 1096m ² / 350 people in the largest room. 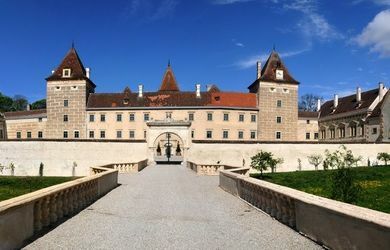 The event venue is located in Laxenburg / Austria, 30 km to Vienna. 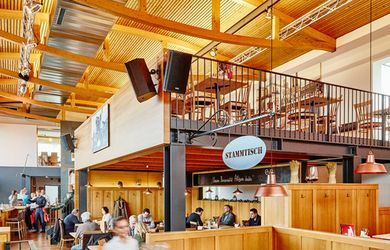 The Brauhaus Schwechat, as a restaurant, has 4 rooms, altogether 800qm, for 400 people in the largest room. The venue is located nearby the Vienna International Airport. The Berghotel Tulbingerkogel, as a conference hotel, has 8 conference rooms, altogether 900 m², for 200 people in the largest room. 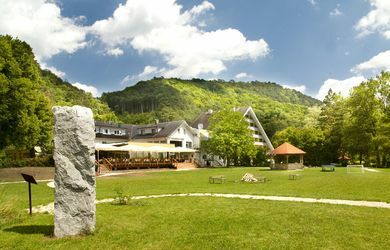 The hotel offers 43 rooms and is situated on the Tulbingerkogel, right in the heart of the Vienna Forrest. 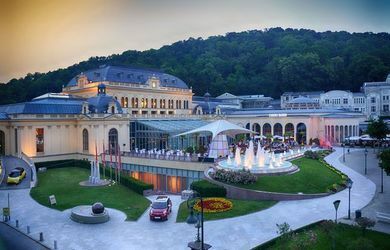 The event venue Grafenegg offers 19 function rooms totaling 3,000sqm | 1,368 people in the largest room. 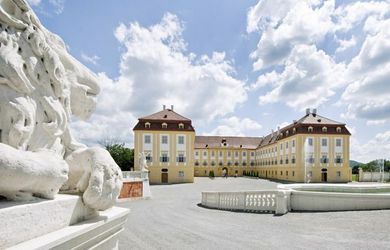 The event venue is in Grafenegg / Lower Austria. Codetraining, as an event venue, offers 3 conference rooms, altogether 150qm, for 90 persons in the largest room. 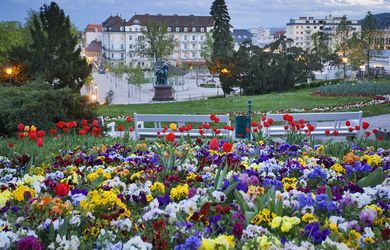 The event venue is situated in the center of Hollabrunn. 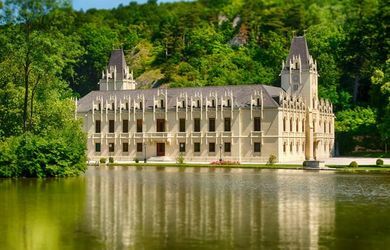 The Perchtoldsdorf castle offers 3 conference rooms for a total 3,350sqm / 426 people in the largest room. 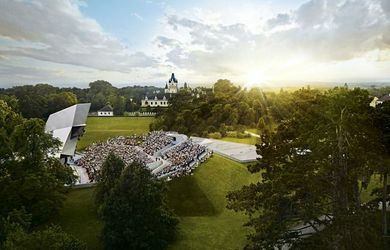 The event venue is in Perchtoldsdorf / Lower Austria. 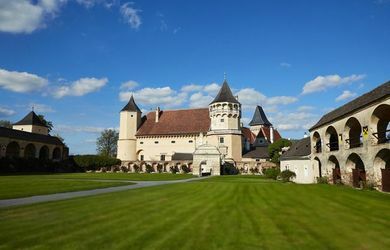 The Renaissance castle Rosenburg as event venue offers 4 rooms on altogether 860sqm, up to 250 people in the largest room. The event area outside of the castle has a capacity of up to 3,000 people. 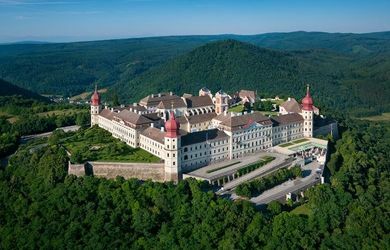 The Renaissance castle Rosenburg offers altogether 20 rooms and rises above the Kamp Valley, the gateway to the Wachau in Lower Austria. The Schlosshotel Krumbach as event-venue offers 8 rooms totaling 400sqm, for 90 people in the largest room. 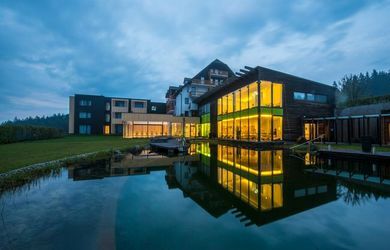 The conference hotel has 62 rooms and is located in Krumbach / Lower Austria. The event venue Kursalon Mödling offers 4 function rooms on a total of 400m² / 100 people in the largest room. 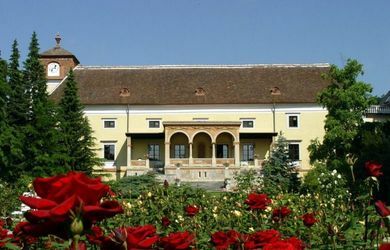 The event venue is located in Moedling / Lower Austria. 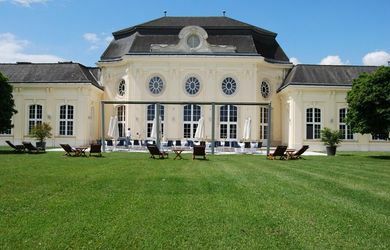 The event venue Schloss Hof offers 9 conference rooms totaling 2,621sqm / 970 people in the largest room, and a 4,000sqm large park for another several thousand people. 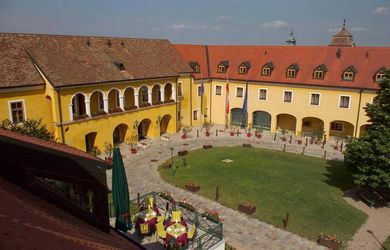 The event venue is located in Schlosshof at March Field in Lower Austria. The hotel Herzoghof (Lower Austria) has 3 conference rooms totaling 80m ², for 60 people in the largest room. 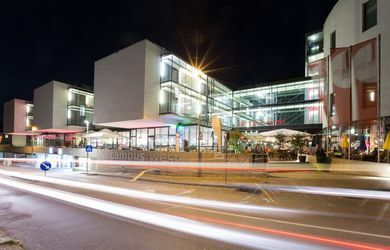 The conference hotel has 30 rooms and is located in Baden, opposite the unique park. The conference hotel is about 20km away from the city limits of Vienna. The 25hours Hotel at the MuseumsQuartier, as a conference hotel, has 2 conference rooms, altogether 135m ², for 30 people in the largest room. The conference venue has 22 rooms and is situated in Gumpoldskirchen. Mirli offers 3 conferecne rooms on altogether 110 m² / 100 persons in the largest room. 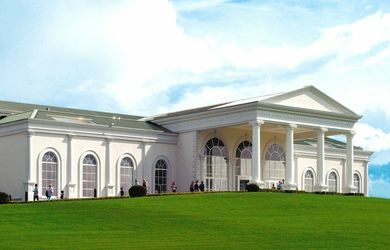 The event venue is located in the area Vienna Woods. 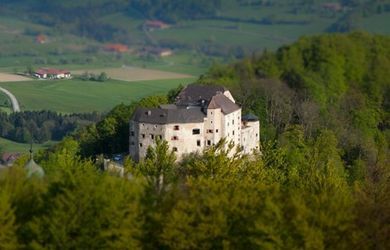 The event venue Walpersdorf castle offers 2 function rooms totaling 280sqm/ 250 people in the largest room and is ideal for corporate events and weddings. The event venue is in Walpersdorf / Lower Austria. 3 conference rooms for 300 people/ 200 people in the largest room. The Eventglashaus Praskac Pflanzenland offers 3 conference rooms, altogether 450qm, for 200 people in the largest room. 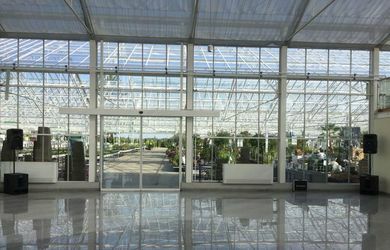 The eventlocation is located in the countryside, 5km distance to the nearest city. 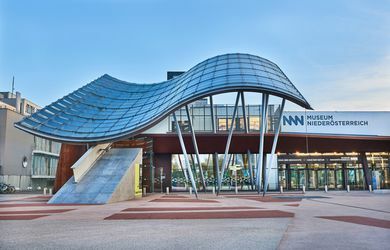 The event venue Museum Niederösterreich offers 5 function rooms totaling 1000m ² / 170 people in the largest room. 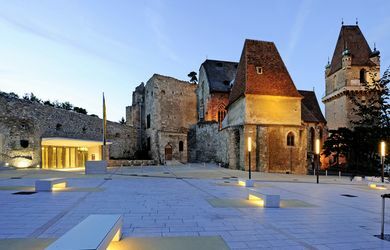 The event venue is located in the centre of St. Pölten. 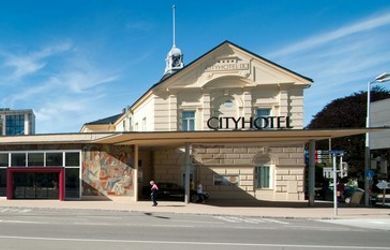 The arte Hotel Krems has 4 function rooms and conference rooms totaling 177m ², for 150 people in the largest room. 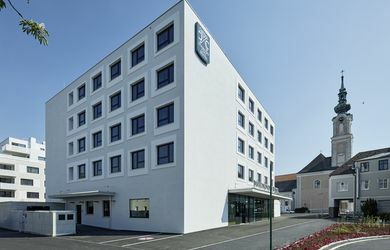 The conference hotel has 91 rooms and is located in Krems / Lower Austria. 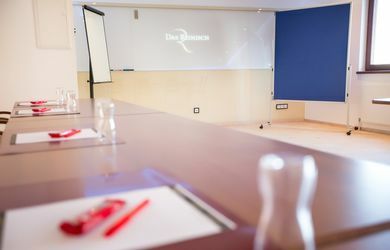 The Cityhotel D&C, as a conference hotel, offers 5 conference rooms, altogether 709qm, for 400 people in the largest room. 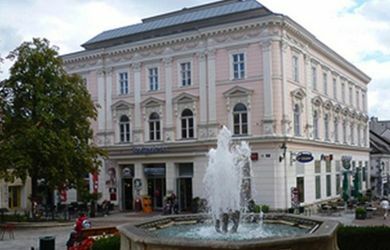 The conference venue has 136 rooms and is situated in St. Pölten. 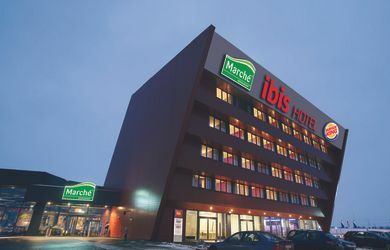 The ibis Vienna Airport, as a conference hotel, has 3 conference rooms, altogether 296m ², for 130 people in the largest room. 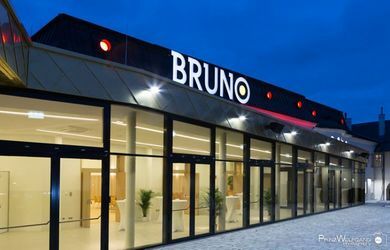 The conference venue has 76 rooms and is situated near the Vienna Airport. 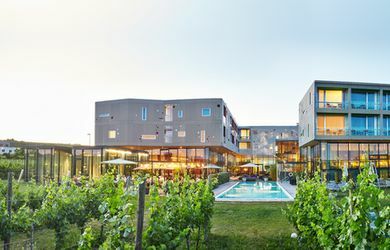 The Hotel Althof Retz as a conference venue offers 10 meeting rooms on altogether 950sqm, 350 people in the largest room. 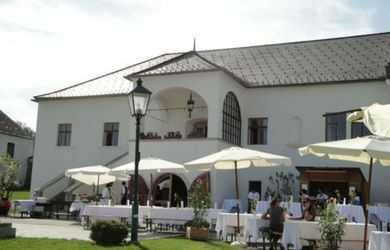 The conference hotel has 99 rooms and is located in Retz / Lower Austria. 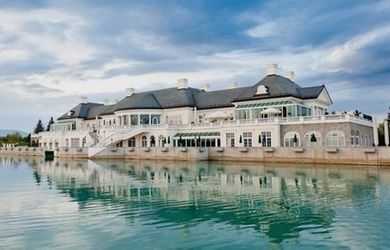 The castle Plankenstein as event venue offers 13 rooms totaling 1,500sqm, 200 people in the largest room. 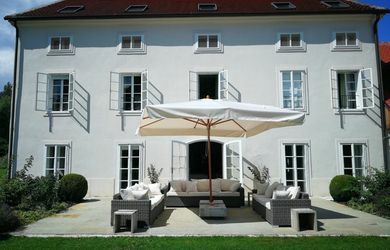 The hotel has 40 rooms and is located in Texing / Lower Austria. 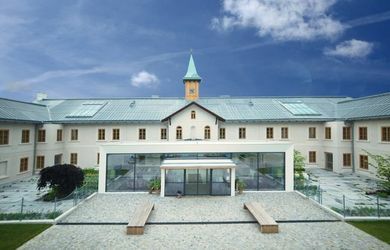 The event venue Kloster UND (Lower Austria) has 6 function rooms on a total of 1000m ² / 300 people in the largest room. The event venue is located in Krems / Lower Austria, 100 km to Vienna. The hotel Turmhof as a conference venue has 3 meeting rooms on altogether 165m ², for 80 people in the largest room. 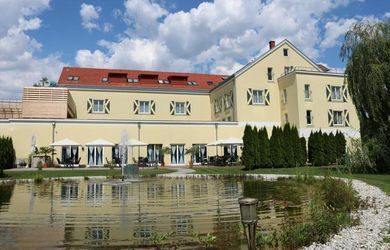 The conference hotel has 21 rooms and is located in Gumpoldskirchen, 25km south of Vienna. The Schlosshotel Mailberg as a conference venue has 3 function rooms totaling 390sqm, 180 people in the largest room. 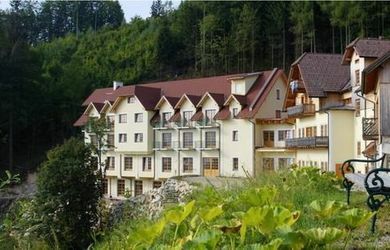 The conference hotel has 21 rooms and is located in Mailberg / Lower Austria. 8 conference rooms for 1.000people/ 500 people in the largest room. 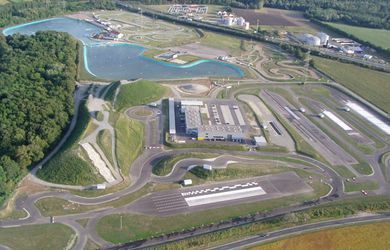 The Driving Camp Pachfurth, as a event location, offers 8 conference rooms, altogether 1.500qm, for 500 people in the largest room. The Driving Camp Pachfurth is located approx. 25 minutes east of Vienna in Pachfurth. 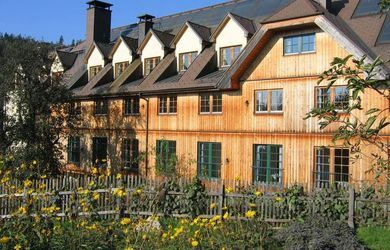 The Hotel Schwarz Alm Zwettl as a conference venue has 5 conference rooms totaling 330sqm, for 80 people in the largest room. 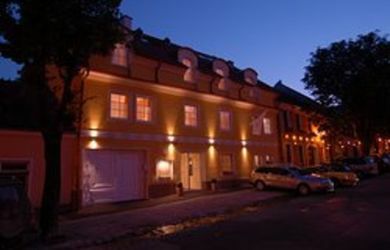 The conference hotel has 48 rooms and is located in Zwettl / Lower Austria. 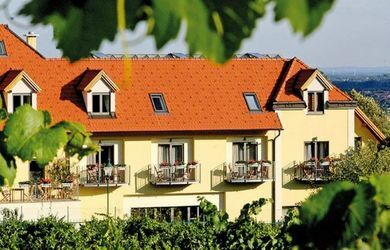 The hotel Wienerwaldhof (Lower Austria) has 5 function rooms totaling 370m ², for 60 people in the largest room. 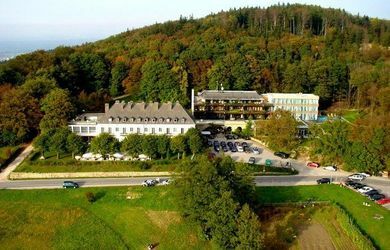 The conference hotel has 75 rooms and is located in Untertullnerbach, in the Vienna Woods. 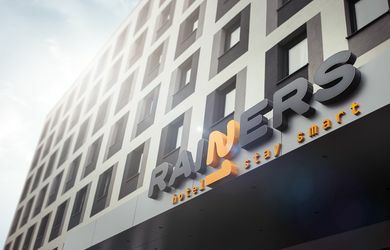 From the city limits of Vienna, the conference hotel is approximately 15km.